I am the mother of three daughters. One of them just finished her freshman year of high school. Another just finished her first year of middle school. The youngest still has a ways to go before I start worrying about teenager stuff, but if it happens as fast as it did for her sisters, she'll be in high school next week. I've always been a little bit terrified of parenting teenagers, to be honest. So far, it hasn't been too terrible, but I've run into a situation or two that I wish I had dealt with better. Or, that I wish my children had dealt with better, actually. I have found myself wishing not only for some sort of magical parenting guide to help me through these years, but for a magical guide to surviving the teenage years successfully for the girls to read. Well, I am here to tell you that I have found that guide. The one for the girls, anyway. Could It Really Be This Easy? 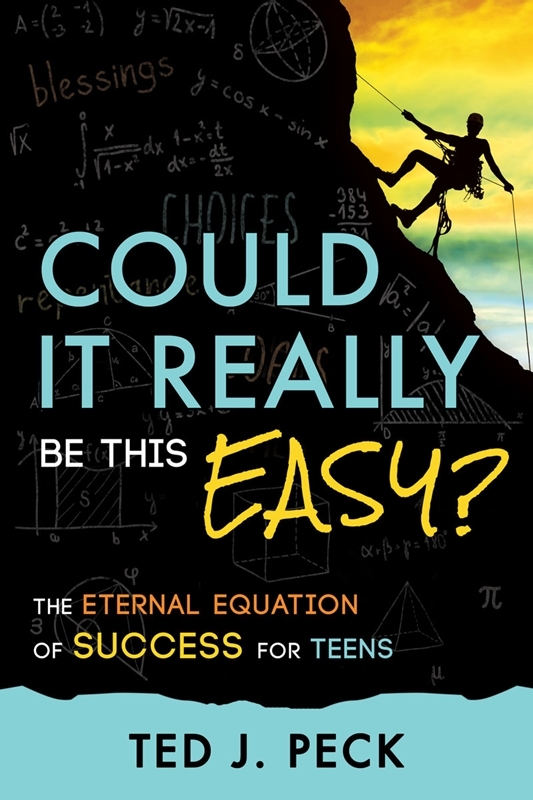 by Ted J. Peck is an excellent book for LDS tweens and teens to read. The author is a former seminary teacher and has had years of experience working with the youth of the church. He clearly knows how to relate to them and the book is something I know my own daughters will enjoy reading. He uses a great mix of humor, storytelling, and testimony to get his points across. I loved the way he encourages self-introspection and gives assignments along the way. I didn't get this book in time to put it in anyone's reading bins this summer, but I will be encouraging the girls to read it nonetheless. If you have at tween, a teen, or even a young adult who is learning to navigate the world, this is an excellent book to hand to them! This is really, REALLY cute! I am definitely sharing!!! I think I may have to do it for myself! You always have such great ideas of how to keep your girls on track. I struggle with our granddaughter and always forget to follow up on things. I love this. When they were living we always took them out to their favorite restaurant and they each had their special off. I like going out to eat, so no one has to cook! We usually spend the day together and do lunch or dinner. I love to take my parents out for dinner on those occasions. We always get the family together and have a meal! We go out to dinner so no one has to cook. We enjoy a meal out together - laughing and telling stories! I take my mom out to dinner every year for our tradition!